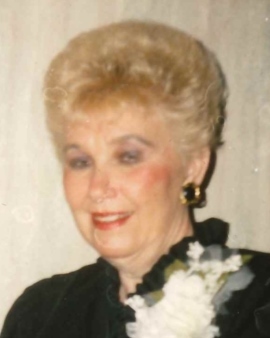 Doris ‘Dottie” Jean (nee Aycock) Patterson-Bates passed from this earth on February 7, 2019 after a short illness at the home of her son Bobby in Wichita Kansas. Service will be 1:30PM Monday February 11, 2019 at the Don Grantham Funeral Home Chapel. There will be a private family burial at a later a date. Family will receive guest on Sunday February 10 from 4 - 6PM at the funeral home. Doris was born March 11, 1939 in El Dorado, Arkansas to James L Aycok and Dorothy Jean (nee Dixon) Daniels. She is survived by one Son, Bobby Patterson and wife Stacy of Wichita Kansas; her husband, Horace Glen Bates of Duncan, Oklahoma; one sister, Julie Davis, and one brother, James Aycock. Doris is also survived by three Grand Children, Brandie, Tyler, and Thomas, as well as two Great Grand Children, Nate and Katie.